Come and enjoy a wonderful Christmas Market of local talent. 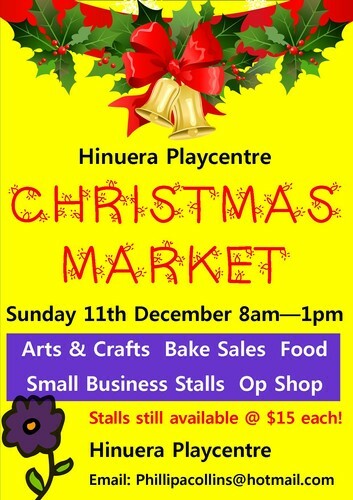 Handmade Arts and crafts, woodwork, nz made clothing and baby toys, and a very special Christmas festival baking stall.Plus much much more. Do your last minute Christmas shopping. There'll also be a supervised children's area with a bouncy castle where kids can safely play while you shop.